Ronda is a city divided in two by a 120 metre deep gorge cut by the Guadalevin river and crossed by three impressive bridges. There is much to see and do in one of Spain´s most historic cities. 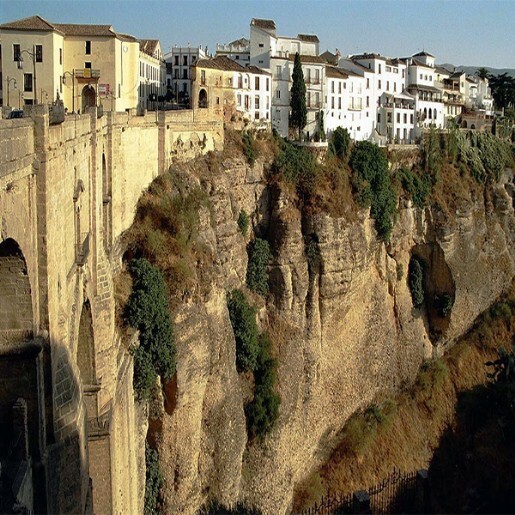 One of Spain´s most visited towns, Ronda is situated in a mountainous area about 750 metres above sea level. The Guadalevín River runs through the city, dividing it in two and carving out the steep, 100-plus-meter-deep El Tajo canyon above which the city perches. 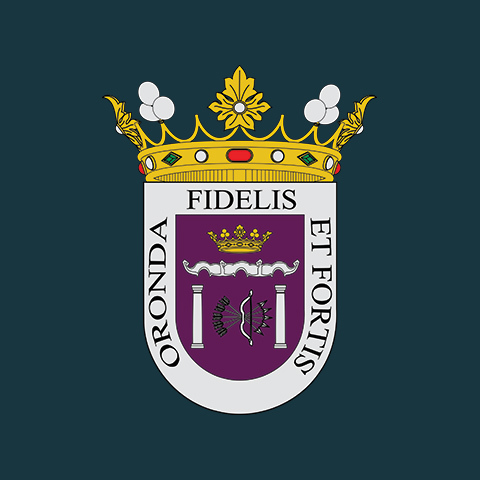 Ronda is on the western edge of the Sierra de Nieves National Park and has around 35,000 inhabitants. Ronda has a rich history that has effected the town and its people significantly – from Roman times, through the Islamic period, the Spanish Inquisition, the Napoleonic Invasion and the Civil War. The Three bridges - Puente Romano (Roman Bridge), also known as the Puente San Miguel, Puente Viejo (Old Bridge), also known as the Puente Árabe or (Arab Bridge), and Puente Nuevo (New Bridge) - that span the canyon. The Corrida Goyesca is a unique and historical bullfight that takes place once a year in Ronda in the Plaza de Toros de Ronda, the oldest bullfighting ring in Spain. It was built in 1784 in the Neoclassical style by the architect José Martin de Aldehuela, who also designed the Puente Nuevo and houses an interesting mueum. The partially intact Baños Árabes (Arab baths) are found below the city and date back to the 13th and 14th centuries. They can be difficult to find, but give an interestin and different view of the town above. Plaza del Socorro is the modern political centre of Ronda. It was here that Blas Infante showed the Andalusian flag and coat of arms for the first time in 1918. The Parroquia de Nuestra Señora del Socorro (parish church of Socorro) was built in 1956. The building known as the Casino and Circulo de Artistas (Artists' Society) is located on the north side of Ronda's Plaza del Socorro. The Palacio of the Marqués de Salvatierra opens irregularly as a small museum of Renaissance art and artefacts. The Palacio is an 18th-century renovation of an earlier 16th century building gifted to the family of Don Vasco Martín de Salvatierra by the Catholic Monarchs, when they redistributed the spoils of the Reconquest. The Casa del Rey Moro was built in the 18th century so is not really a “Royal House of the Moors”. It does, however, incorporate one genuine and important relic of Ronda's Moorish era: the so-called Water Mine, a set of steps down to the river carved into the cliff wall. Ronda was settled during the 6th century BC by the Celtiberians, who called it Arunda. A short time after, Phoenician settlers established themselves in Acinipo - known as Old Ronda - some 20km to the east. The current town has Roman origins and was originally built as a fortification during the Second Punic War (218-201 BC). It was elevated to city status in the time of Julius Caesar. After the collapse of the Roman Empire, Ronda was first taken by the Suebi - a Germanic tribe that created a kingdom that occupied most of the western half of the Iberian Peninsularin the early fifthe century. The Suebi Kingdom maintained its independence until 585, when it was annexed by the Visigoths, and was turned into the sixth province of the Visigothic Kingdom of Hispania. The Visigoths ruled until the Arab invasion of 713 AD when the Moors renamed Ronda - Hisn Ar-Rundah (Castle of Rundah). The city, at that time, more or less occupied the current old town centre (La Ciudad), to the south of the gorge. Ronda was one of the last outposts of Islamic rule in Andalusia until it was eventually conquered by the Spanish in 1485, who then gradually drove out the remaining Muslim population. In the 17th and 18th centuries, Ronda expanded north across the gorge into the new town (El Mercadillo). The Puente Nuevo was finished in 1793 to connect both parts. In the 19th century Ronda was first home to numerous guerrilla warriors fighting the troops of Napoleon, and later to troops of bandits (bandoleros). In this period, it also became a favourite destination for English, French and American travellers, who described it as one of the most romantic places in the world. Some of this fame has stuck to Ronda ever since. During the Spanish Civil War (1936-1939), Ronda was the site of much fighting, and became infamous because of the revenge taken by Republican partisans on some 500 Falangist supporters, who were thrown into the gorge from a house on the cliffside - but, like almost everything in the Spanish Civil War, the truth of this matter is disputed. This alleged war crime is sreputed to have inspired a famous scene in Ernest Hemingway's novel For Whom The Bell Tolls (1940).